Peace Practices are flourishing. Together, children and adults are learning to imagine conflict as normal and something an entire community can get good at, replacing knee-jerk reactions driven by fear with much richer, long-term, all-win strategies. The beautiful community where this work is being given life is called Pacific Rim International School, or PRINTS. Please help Peace Practices grow by helping your children, or your friends and their children, to discover PRINTS. They have made a supremely courageous choice to take a chance on Peace Practices, have been our partner in securing international funding and almost 100% participation from the children on both their campuses, and are struggling with severe competition from other schools in the area, many of which promote themselves by appearing to duplicate the innovations which PRINTS introduced to the San Francisco Bay Area and to Montessori, in general. There is no substitute for being the genuine article. It is a classic story. 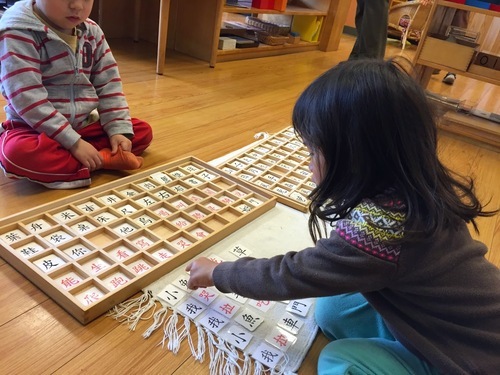 The source of so many advances, for decades, including complete tri-lingual immersion in an AMI Montessori context, is now struggling to be seen and valued amidst the clamor of less experienced and more aggressive competitors. I ask for your help in spreading the word that extensive expertise and deeply rooted dedication to educating citizens of the world is available at PRINTS in both San Mateo and Emeryville. They have openings at most levels, a remarkably fine faculty, and have authorized me to offer meaningful scholarships to new families who come through our Association Building Community (ABC) network. All PRINTS students receive Peace Practices instruction for free, as an integrated part of their curriculum, on a weekly basis. Help Peace Practices and your own children, family, and community. To find out more by taking a tour, leave a message with us at ABC (866) 236-0346 or viaadministration@abcglobal.net to express interest, so we may connect you with PRINTS as an ABC contact. Please tell your friends and networks. Both my children are being educated at PRINTS. What matters more than the education of our children to practice peace? 201809 ready on 20180826 by JPW. COPY the last week's card's CONTENTS into a NEW CARD with the title DATE UPDATED, immediatly going through and UPDATING ALL DATES (+1 week). REPEAT for the '-full' card, making sure to SET THE CARD TYPE TO 'Basic' rather than 'BasicABC' so that anonymous users can see it, and making sure that the link to the '-full' card is also updated with the current week. Finally, reflect any relevant schedule changes, cancellations, events, campains, drives or fundraisers for the week before moving on. Special note: take care when selecting a schedule template to copy from, the ideal template has the highest level of congruence with the current schedule, beware of sourcing from a paired-down schedule as you will need to recreate the relevant missing classes. UPDATE the Training schedule card confirmation by setting priorty to URGENT, Updating the deadline, updating the referenced training schedule to be this week's, updating the weeking tagline, and updating the awaiting confirmation section. Once you click submit, communicate to Brandon Sensei (via text if no response by Sunday) that the training schedule awaits his approval. Once the schedule has been approved, but not sooner than Sunday, verify that no further changes were stipulated and then start by updating the last week's schedule to type 'BasicABC' and set the new schedule to type 'news item'. Sunday evening, copy and paste tagline and training schedule title ('Training Schedule Week of yyyy mm dd') into the subject line of a new email, coping the schedule into the body of the message. then it will be sent to everyone on those lists automatically. Marshall Rosenberg, a loving elder and key innovator in the world of Process Arts, has passed. We salute his memory, extend an offer of compassionate support to the worldwide NVC community, and mourn his passing. The following messages are from colleagues of his in the world of Nonviolent Communication. 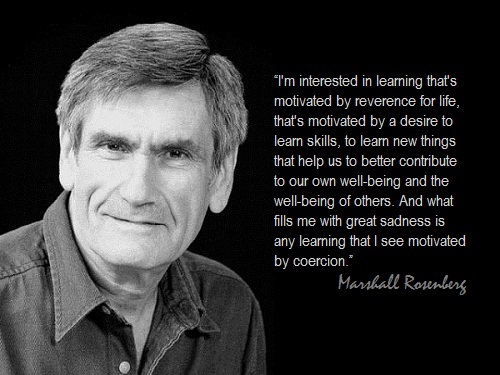 Yesterday I received the news from CNVC that Marshall Rosenberg died. I am passing along to you the email that came from CNVC's board president, followed by some of my own personal reflections about Marshall's life and what his death means to me. Also, if you receive this message before 11am Pacific time on Feb 11th, you can click here to find information about joining a live line to connect with others who are moved to be together at this time and share memories and teachings. I met Marshall for the first time in 1993, when a visit to Israel coincided with his leading a workshop there. From then and until his last visit to San Francisco in 2008, I was with him for dozens of days, listening to every word, imprinting them deeply in me, and then unpacking his sayings in my mind as part of finding my own way to pass along to others the once-in-a-lifetime gifts that I received from him. During one of his visits, Marshall sat with a group of trainers in someone's home and wept about how much he didn't want to be a "guru." That moment stays with me as a reminder of his profound commitment to a lived vision of radical equality. The other strong memory that stays with me is seeing him laugh, a frequent occurrence when he was connected with a group. Although Marshall's biggest actual effect was on hundreds of thousands of individuals whose lives were transformed by what he taught, what he most wanted to accomplish was a systemic change that would bring an end to violence, exploitation, and all forms of injustice. His sight was on a future in which we humans reorganize systems and structures in all areas of life to align with the principles of Nonviolent Communication. Although Marshall had retired a few years ago, he was still there. With his passing, I suddenly feel like an elder, along with others from my "generation" of trainers, ever more deeply committed to the calling. I sense that I am not alone in this; that many of us are drawn to taking even more responsibility for carrying forth the extraordinary potential that we see in this body of work. If you cannot make a monetary donation, we are also in need of these services, things, and space donations. If you or anyone you know might be able to help, we would love your support. Uniforms for children and adults in our programs that cannot afford them. Click the links included to purchase one. We wish for community members, colleagues, you! Donor to an essential project that is already making the world a more peceful place in very concrete and sustainable ways: Peace Practices? Fundraising Taskforce member with expertise and/or contacts in the world of upper level funding? 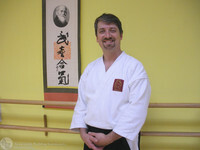 A potentially paid Peace Practices instructor with experience in aikido, theater, or Process Arts? Volunteer or Intern, retired or in need of volunteer experience and a letter of recommendation? Contacts Database administrator ready to move, refine, and clean data for import and export to varous platforms? Decision-maker at a potential site, especially businesses, schools (of any level), and law enforcement organizations? Persons with networks that include parents, educators, and administrators? Please email administration at abcglobal dot net and let us celebrate your potential contribution! 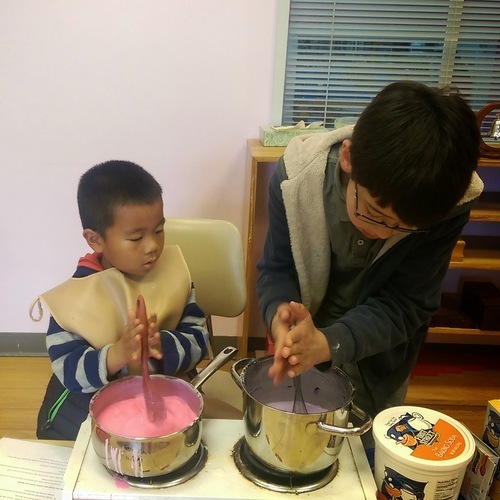 With the arrival of Fall, we began reaching out to you regularly to celebrate your children's success and ask for ongoing involvement with Association Building Community (ABC) and Peace Practices (PxPx). This seems like a good time to write briefly about our work together so that I may make our planning transparent and ask for your input. As long as there have been people, adults have opened their eyes in the morning and seen both the beauty and the dilemmas that each day promises. Our generation is not the first to feel a drive to work today to make tomorrow better--more likely to welcome our children than threaten them. In every age, in order to flourish, each child must learn to shape and use their own attention in order to deepen their experience beyond mere functional adequacy and find the kind of meaning in life that leads to both an authentic individuality and humane participation in civic life. Even so, for each generation born into our world of instant high-capacity communication this particular challenge is more problematic than ever before. Attentional capacity development now happens in the context of relentless and ever-expanding media exposure: not only the ubiquity of delivery mechanisms, such as screen devices grafted on to every social and management function, but also psychological campaigns designed to capture individual interest and operationalize desire to serve consumption, and infonews businesses whose entire revenue stream depends on exposing individual eyes unremittingly to the vast scope of our shared dilemmas. It is increasingly hard to handle any single choice while being barraged with too many. This is especially true of children whose brain development is happening under the influence of audio-visual media designed to keep and control a user's attention. They have no defense until they are provided with the time and attention needed to develop useful strategies. How are they to defend themselves against overwhelm while trying to develop the capacity to do so? It seems almost a parallel process to studying a martial art in order to keep one's balance and make conscious tactical choices during physical conflict. Adults too have never before had potentially conscious access to the immense and impersonal complexity of the systems humanity is creating. Beyond the tendency of screened images to overwhelm and control how we think and make choices, the energy we spend communicating is often consumed by those willing to reduce ideas to their most simplistic, attempting to clutch our precious attention under the false pretense that an idea that is faster to grasp is more useful in the metaphorical hand of decision-making. Constant grabs for our attention prevent rather than refine our understanding as we try to find some way to grapple with challenges much larger than an individual can fully comprehend, much less decide how to respond in a way that includes all relevant aspects of our shared problems. 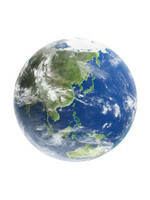 It is the purpose of Martial Nonviolence and the work of Peace Practices to be a whole conflict system, helping you and your child bring your body and attention together under your own direction, especially while in conflict and under pressure, in order to make decisions and act in a way that works out well for everyone involved. This is in order to give us, and generations that follow, more tools to deal with issues that reach from the broad, almost mythic ("As long as there have been people...") to the specific and daily (we have sought "some way to grapple with challenges..."). If you'd like to hear more about the details of our work, please read on. If you'd like more information after reading this, please email [ administration at abcglobal dot net ] and we will be more than happy to respond. Determined to address the challenges we face, members of ABC want increasing traction for our work for a more hopeful future. We want to be part of a growing group of people similarly devoted to understanding and changing the Big Picture by working together. We believe that the group that creates itself as though the process of co-creation were an art form has the potential to actually change the world for the better (please see: Process Arts). At ABC, we have found that purposeful association--attentiveness to the quality of our relationships--keeps us moving, together, in a relevant direction. 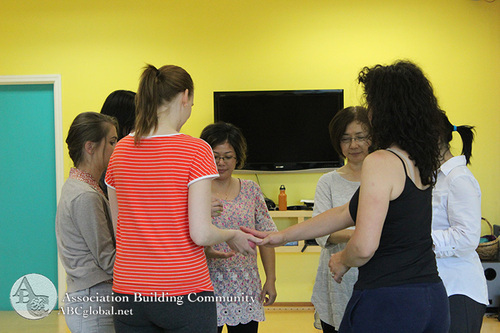 Our daily association is building community. Roundtables prepare us to understand the stories on which our world is built because we want our projects to make a difference that anyone can recognize and see the value of promoting. Peace Practices is just such a project. Peace is that daily reality in which the most vulnerable, especially children, are more likely to find welcome than threat. "Community" is another word for this experience, a felt sense that conflicts are normal and will be approached as a practice, an opportunity to transform fear into opportunity with the help of others who care about the future and practice a dedication to nonviolence that is martial in character and commitment. In community, every individual learns to expect access to all that they need and an opportunity to work through conflict toward what they want and dream about. 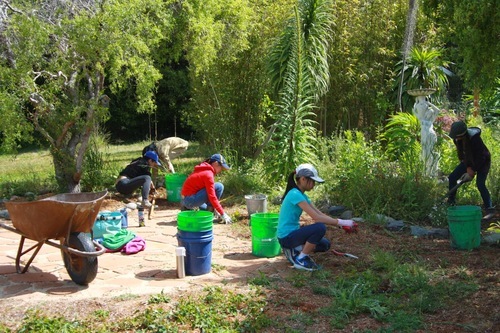 The children and adults of Pacific Rim International School joined us in May 2014 to work toward this vision. Parents have joined us in regular training with their children and begun to attend the special evening classes for adults. Teachers report that the children studying Peace Practices (almost 100% on both campuses) are using the language of Martial Nonviolence every day to resolve conflicts and successfully navigate the troubled and troubling waters of disagreement. Parents report their children bringing uplifting options home from school and applying at home strategies they didn't even know were available several months ago. Aikido professionals from around the world have consistently expressed their strong desire to learn Martial Nonviolence and create Peace Practices programs of their own. We will provide an instructor training in the first quarter of 2015 and welcome those who are able to join us in the East Bay. We will begin our first study of this work in the very near future and are searching for a Study Director. You are no doubt already aware that we are offering sturdy uniforms as a fundraiser. They are necessary to keep your child's clothing from being damaged as they learn to keep their bodies safe, and we hope you will help the program by buying them at the promotional price. We are also prepared to offer them at cost, if your family is in financial difficulty. Please visit our store today! We have secured a working agreement to establish our office in downtown Oakland. We have assistant instructors working with us now, and more waiting their turn to begin. It is on these excellent folks that the future of the work also depends, as they will make additional programs possible. It is time to give them an unqualified message of support as well. Now it is time to fund the future. We are counting on you to vote for your children's success and the growth of our work together with your attention and money. Inaction is not neutral, but is a vote against a profoundly hopeful and practical path to peace that can reach around the world, building one community at a time. As you consider how you will spend your time and allocate your treasure this holiday season, please join your children and join us in actively practicing peace. 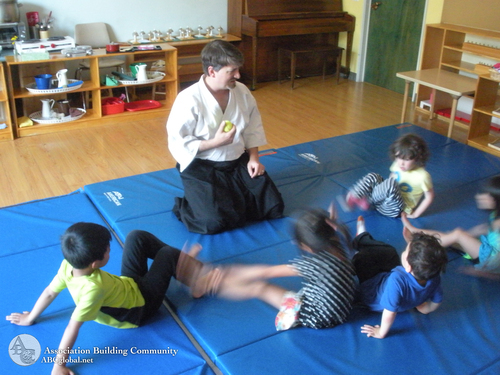 or Free Aiki Dojo class (please see our schedule at freeaiki.com). You are more than welcome to visit a Community Building circle and Roundtables on the second Sunday of every month (next one December 14th starting 5pm at The Joint in Berkeley). Please cast your unambiguous vote for our success by creating a recurring donation!